As a sewer repair company in NJ for many years we would call ourselves sewer experts in NJ. At A1 Sewer we specialize sewer and drain systems. Providing repair service, installation, and more for sewers and drains in New Jersey. As lifelong NJ locals, we’ve spent decades helping local homeowners and businesses deal with drain problems and damaged sewer lines. Unlike most plumbing companies, our contractors specifically specialize in NJ sewer and drain services. Fixing and installing drain pipes and sewer main lines is a distinctive subset of the plumbing trade, and that’s what we do best. To find out more about our residential and commercial sewer and drain services, or for same-day drain or sewer repairs today, call us any time at A1 Sewer & Drain. Sewer & drain services in new jersey is what we do every day. At A1 Sewer & Drain, we’re not your average plumbers. Instead of trying to do everything when it comes to household plumbing, we focus on two key areas: sewer services and drain services. 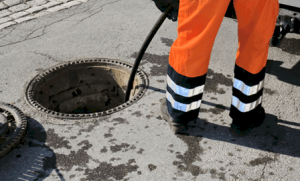 Our team of sewer repair contractors have decades of combined experience working with residential, commercial, and industrial sewer and drainage systems. From small single family homes to warehouses and factories, we’ve worked with all kinds of sewer systems throughout our region. Call us today at A1 Sewer & Drain, at 201-645-0888. 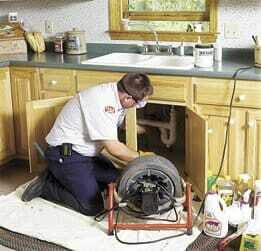 Affordable sewer service in NJ that done right is our goal. Our sewer contractors NJ provide a full selection of sewer services and drainage services throughout northern New Jersey. From minor sewer cleaning and drain cleaning, to large-scale sewer repairs and sewer pipe replacement, we cover all your residential and commercial sewer service needs. When you’re dealing with a broken sewer pipe, burst drain pipe, or another sewer and drain emergency, you need a local NJ sewer company who knows exactly what we’re doing. At A1 Sewer & Drain, our sewer contractor team undergoes continual training and education about the latest developments in sewer and drain technology. We’re always prepared to help you get a handle on your sewer problems, from minor damage to extensive sewer pipe collapse. 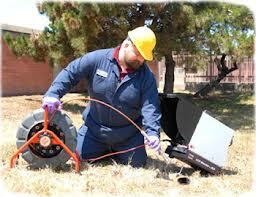 We’re always prepared for every job with specialized drain repair and sewer repair equipment. Unlike most general plumbing companies, we have access to tools like hydro jetting equipment, trenchless sewer repair machinery for pipe bursting, and other necessities for fast, effective sewer repair. At A1 Sewer & Drain, we don’t just repair sewer and drain lines. We also provide drain and sewer line replacement and installation services. When it comes to sewer main line installation, things need to be done right the first time. Laying down a new sewer line requires careful measurement and calculation to determine the right pitch and slope, along with analysis of surrounding soil to avoid loose areas where pipes can sink downward. Our sewer contractors have installed sewer lines for many new constructions in north NJ, including homes and commercial buildings. 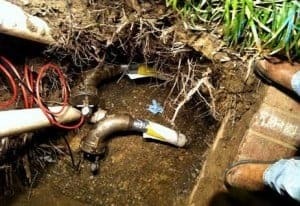 We can also replace sewer pipes, using either sewer excavation or trenchless sewer repair techniques. 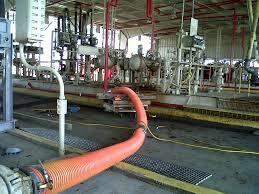 With recent advancements in pipe bursting, we can often replace a section of pipe without needing to dig at all. Trenchless sewer replacement can save you a major hassle by preserving your lawn, landscaping, and driveway. To find out more about our comprehensive range of local north NJ sewer and drain services, call us today at A1 Sewer & Drain. We offer hydrojet sewer cleaning from a NJ sewer company for local homes and businesses. 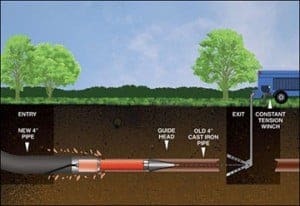 Hydro jetting is a powerful sewer cleaning technique that uses streams of water at a very high PSI to blast away grease, debris, sediment, tree roots, and other causes of sewer clogs. When you call us for residential or commercial sewer cleaning, we’ll arrive fully prepared with all the equipment we need for hydro jetting. 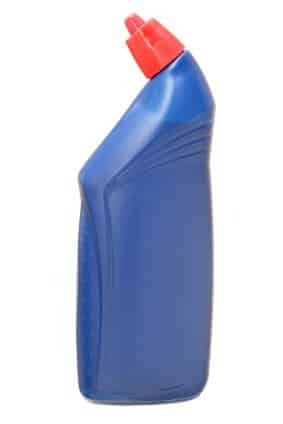 This includes nozzles of various sizes, which can be used to adjust the water pressure and size of the stream for pipes of different diameters. Professional sewer cleaning is one of the best ways to prevent damaged pipes, sewer backflow, and other potential problems. Materials like grease, paper products, soil, minerals from the water, and intrusive tree roots can accumulate in the sewer pipes over time, gradually narrowing the area of the pipe that water can pass through freely. When the problem gets bad enough, solid waste can’t make it through, and water starts backing up into your plumbing pipes. With hydro jetting, our sewer contractor team can easily get rid of debris in the sewer line, restoring normal water flow and preventing future plumbing problems. 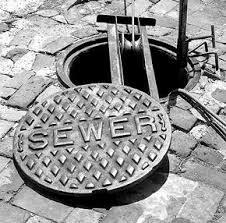 Call us today any Sewer & Drain, at 201-645-0888. At A1 Sewer & Drain, our contractors use sophisticated fiber optic camera systems for sewer video inspection. We can lower a camera into the sewer pipe through the cleanout, creating a video feed to a monitor that reveals problems like leaks, cracks, tree roots, and sewer clogs. Sewer and drain service contractors also recommend sewer inspection before you move into a newly purchased older home in NJ. Many older houses and buildings have decaying metal pipes that can have corrosion, calcification, scale, leaks, and other problems. Getting sewer camera inspection will enable you to repair or replace sewer pipes before they can break or clog, preventing backflow and other complications. We do more than sewer pipe and drain lines: we also provide residential and commercial septic tank services throughout north NJ. In rural and suburban areas without access to municipal sewer utilities, septic systems are an environmentally friendly way to dispose of waste from your plumbing system. Our contractors are leading experts in septic tank repair and maintenance. To find out more, call us anytime at A1 Sewer & Drain. Our sewer contractors at A1 Sewer & Drain also provide sewer pump and sump pump services in north NJ. 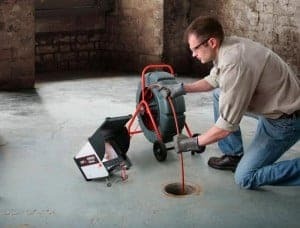 We routinely repair, replace, and install both sump pumps and sewage ejector pumps, helping local homeowners keep their property safe from flooding, backflow, and water damage. To find out more about installing a new sump pump or sewage ejector pump, or to get repairs today, call us at A1 Sewer & Drain. Our sewer and drain contractor team is also prepared to install, replace, and repair culvert drain pipes on local NJ properties. We work with all types of culvert materials, including reinforced concrete, galvanized corrugated metal, polymeric coated culverts, and more. 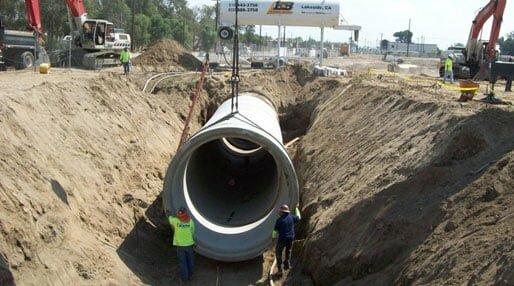 Call us any time for same-day culvert repairs, new culvert pipe installation, and other related services from our world-class sewer and drain contractors. At A1 Sewer & Drain, we go the extra mile to help members of our local community deal with unexpected sewer and drain problems. We have sewer and drain contractors on call 24 hours a day, 7 days a week. Even on holidays or late at night, we can have a sewer repair contractor at your door to take care of your problems as quickly as possible. Don’t wait around for sewer repair service; call now to get the help you need, today. You can’t always predict when you’ll end up with a burst drain pipe or broken sewer line. That’s why at A1 Sewer & Drain, we have contractors available at all times to take care of sewer emergencies that just can’t wait. When we arrive at the job site for an emergency sewer repair call, we’ll quickly get to work accurately diagnosing the problem. In many cases, we’ll use sewer camera inspection systems to look directly into the sewer line. From there, we can determine if the problems are being caused by tree roots, clogging from grease buildup, corrosion, scale, or other problems. Then, we’ll get things fixed as quickly as possible. At A1 Sewer & Drain, we’ll never leave you waiting when you have a broken sewer line, broken drain pipe, or backflow and flooding in your home. We guarantee arrival times of less than an hour, usually 45 minutes or less. When you call us for emergency repairs, we’ll have a sewer contractor at your door almost immediately to take care of the problem for you. You’ll never wait more than an hour for quality sewer and drain repairs. We’re confident in the skills and expertise of our sewer contractor team. We’re so confident, in fact, that we proudly offer a 100% satisfaction guarantee for all our north NJ customers. At A1 Sewer & Drain, we do more than just residential sewer and drain repair. We’re also available for commercial and industrial repair and installation work. From restaurant drains to heavy-duty industrial sewer mains and drainage systems, we proudly serve local businesses in north NJ with great sewer and drain services. We provide all of our commercial clients with high quality service from experienced sewer contractors, with straightforward pricing. We’re always prepared with the right tools for commercial drain repair and sewer repair jobs, and we can be there within an hour of your call. At A1 Sewer & Drain, our local NJ drain contractors proudly serve all kinds of local businesses. We’re available for commercial drain repair, drain installation, and drain pipe replacement for businesses of all sizes, from huge big-box retailers and office buildings to tiny storefronts. We also specialize in repair, installation, and replacement services for restaurant drains. Restaurant drainage systems are designed to safely trap and handle oils, grease, and other materials that can clog drains and sewers. From restaurant drain repair and replacement to drain installation for new construction, we’re always here for local food service businesses. We also offer grease trap repair and replacement, along with new grease trap installation. 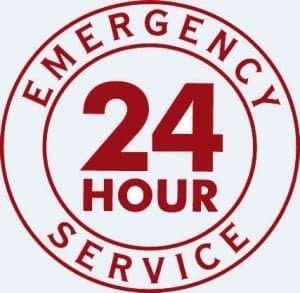 Call us any time for 24-hour same-day emergency commercial sewer repair service from an experienced sewer contractor in NJ. We provide sewer and drain services for all kinds of businesses in north NJ, including industrial sewer lines and industrial drainage systems. Our sewer and drain contractor team has experience working with high-capacity industrial sewers and drainage systems, which require different tools and methods than smaller residential pipes. At A1 Sewer & Drain, we’re dedicated to serving our local community with great sewer and drain service, fair pricing, and outstanding customer service. We’ve been in the community for decades, helping local homeowners and business owners deal with sewer problems, leaky drainage pipes, and other problems. We’ve set ourselves apart from general NJ plumbing companies by focusing specifically on sewers and drain systems, and our staff are among the area’s leading sewer experts. At A1 Sewer & Drain, our mission as a NJ sewer company is to provide our local community with the highest quality service and workmanship. We provide a full selection of sewer and drain services for homes, businesses, and local industry, making us a regional leader in sewer repair and replacement. We hire only the most skilled, experienced, and highly trained contractors who specialize in sewers and drainage systems, putting us a cut above your average company in the level of service that we can provide. To find out more about our sewer services, or to get same-day emergency sewer repair in less than an hour, call us today at A1 Sewer & Drain, at 201-645-0888. NJ contractors are always happy to talk to you about your options for residential and commercial sewer repair, drain repair, sewer pipe replacement, and more.